Understand and test your electronics with state of the art measurement equipment available at TechShop. 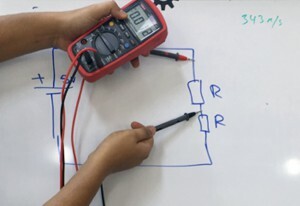 Learn the basics of how to use a multimeter, power supply, function generator, and digital oscilloscope. This class will take you through examples where you use the equipment to take measurements on basic circuits and learn how to generate and measure waveforms. Master these tools and make all of your electronics projects work!